Enjoy a bouquet that stimulates the senses and brightens the spirit while you're cheered by a seasonal succession of full colour floral images. 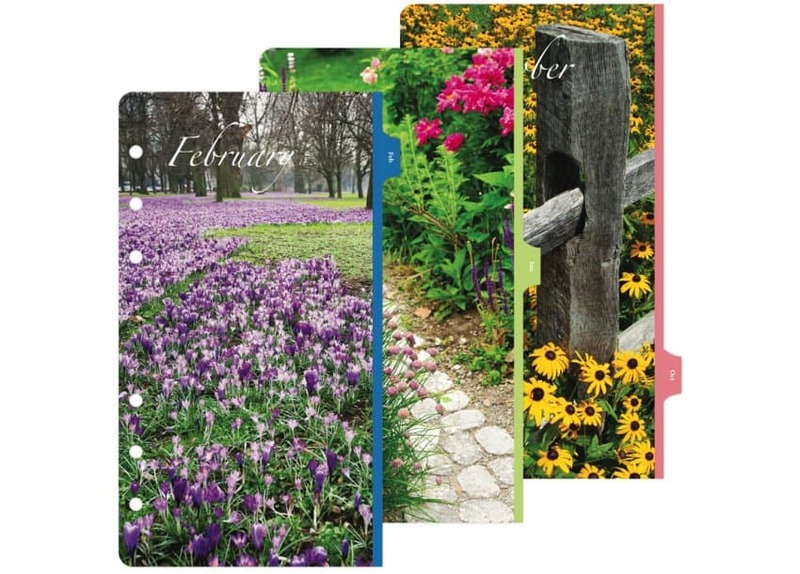 Garden Path tabs feature vivid floral imagery to uplift you during the day. 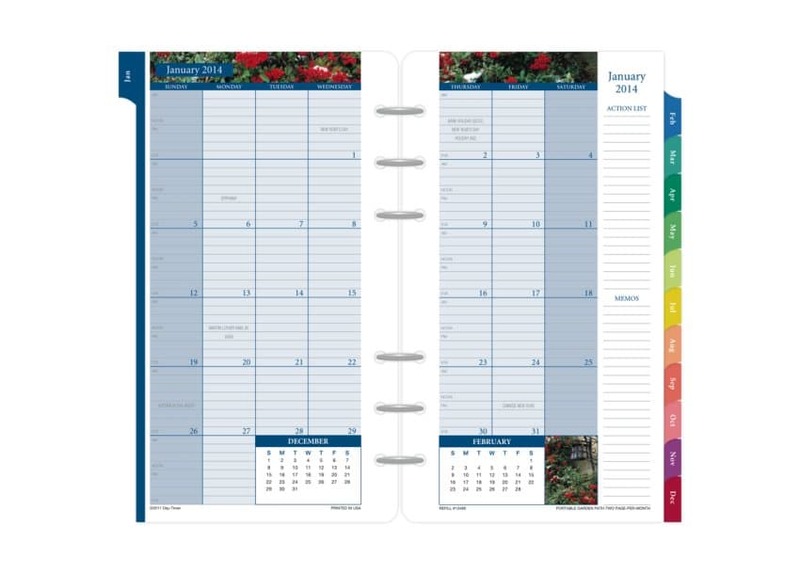 Work from our popular 2-Page-Per-Month format. Saturdays and Sunday get full-size space. 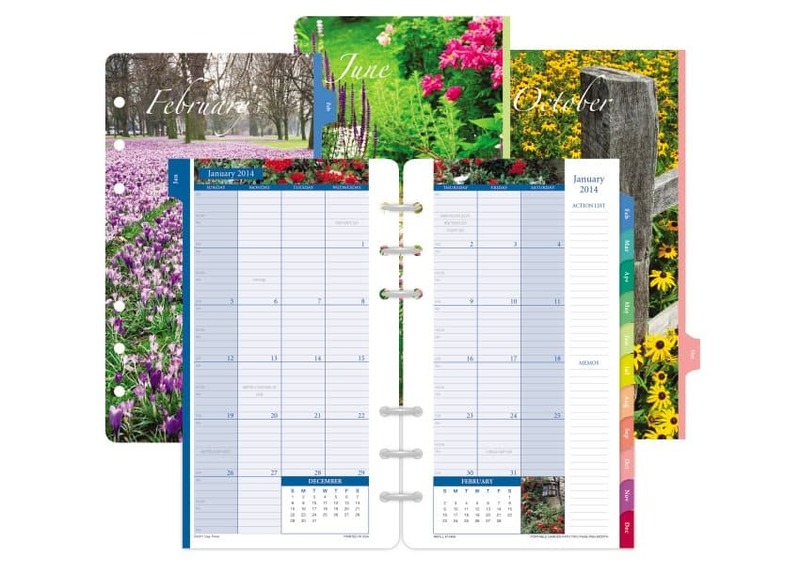 A great complement to your Garden Path refill pages!